It is always better to prevent a disease than to treat it after it occurs. Pharmacists play an important role in knowing the immunization schedule, recommending specific vaccines for individual patients, and providing patient counseling. Vaccinations saves millions of lives and is widely recognized as one of the world’s most successful and cost-effective health interventions. Diseases that used to be common in the United States and around the world, including polio, measles, diphtheria, pertussis (whooping cough), rubella (German measles), mumps, tetanus, rotavirus, and Haemophilus influenzae type b (Hib) can now be prevented by vaccinations. 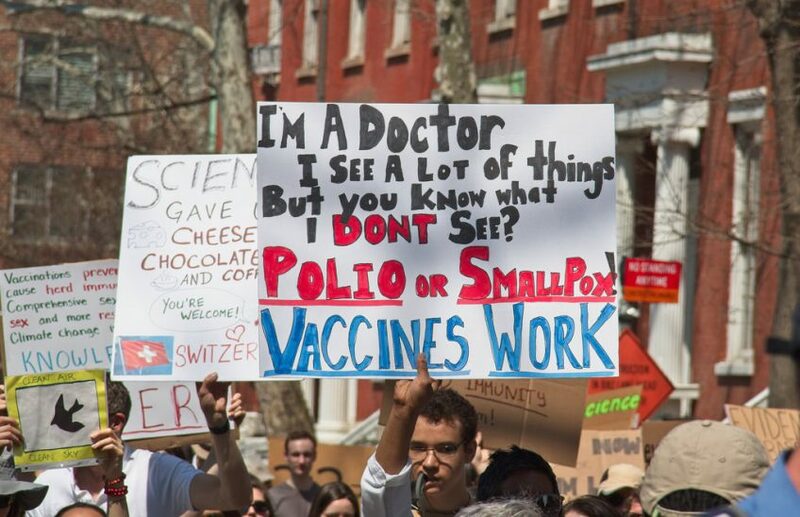 Thanks to vaccines, one of the most terrible diseases in history—small pox (which killed an estimated 300 million people in the 20th century alone)—no longer exists outside the laboratory. Immunization saves between 2-3 million lives each year, improving global health without requiring major lifestyle changes. We are all born with an immune system composed of cells, glands, organs, and fluids located throughout the body—it’s our way of preventing disease. The immune system recognizes germs that enter the body as “foreign invaders” (called antigens) and produces proteins called antibodies to fight them. As children, the first time we’re infected with a specific antigen, our immune system produces antibodies which combat it. But when we’re born, our immune systems are weak and can’t work fast enough to prevent the antigen from causing disease, so we still get sick. Luckily, the immune system remembers and evolves. If that same antigen enters the body again, even after many years, the immune system can quickly produce antibodies and keep it from causing disease a second time. This protection is called immunity. Because vaccines contain the same antigens (or parts of antigens) that cause diseases, they give children immunity to diseases without requiring them to get sick first. The difference is that the antigens in vaccines are either killed, or weakened to the point that they don’t cause disease. However, they are strong enough to make the immune system produce antibodies that lead to immunity. In other words, a vaccine is a safer substitute for a child’s first exposure to a disease. The child gets protection without having to get sick. Through vaccination, children can develop immunity without suffering from the actual diseases that vaccines prevent. It is critical to bring attention to the importance of vaccinating people of all ages. Immunizations are one of the most valuable contributions the overall human health and safety in modern times. They prevent people from getting serious illnesses or complications from those illnesses that just under a century ago may have meant certain death or long-term morbidity. Pharmacists have been training in the administration and education of vaccines since 1996 when the nationally recognized immunization delivery program was created by the American Pharmacists Association (APhA). Today, pharmacists can administer vaccines in all 50 states and are able to give most available vaccines. In fact, the majority of patients chose to get vaccinated at pharmacies due to convenience. The massive presence of pharmacies throughout urban cities and small towns allows for quick and easy access to health care professionals who are not only drug specialists, but are also experts on vaccines. Why not make sure you’re up to date with all of your immunizations while you’re already picking up medications or buying snacks? The accessibility and availability of pharmacists enable patients to receive immunizations at a time when it is most convenient for them. Vaccinations saves millions of lives and is one of the world’s most successful and cost-effective health interventions. Yet, 1 out of 10 children never receive vaccinations, and most likely have never been seen by the health system. During this year’s World Immunization Week (4/24-4/30), make an extra effort in the hectic schedule of your day to share this information with your friends and family…because #VaccinesWork.